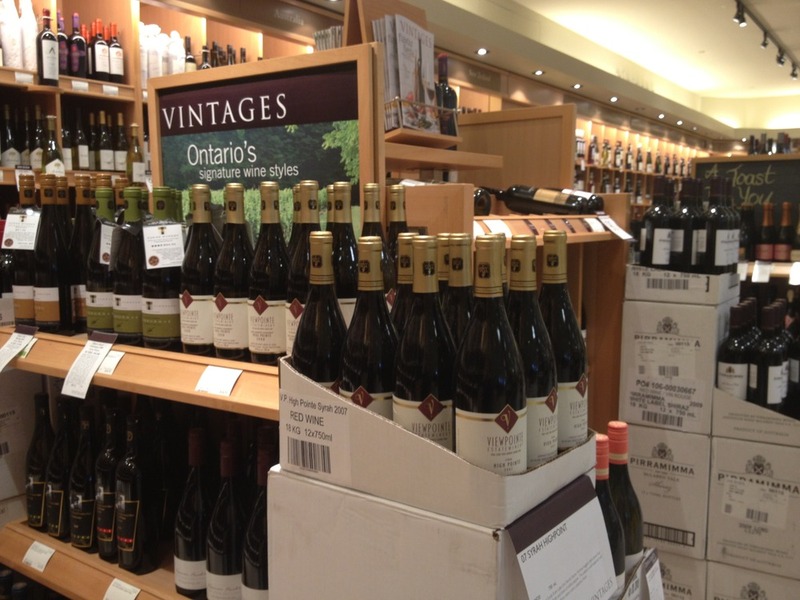 The Vintages section of your local LCBO is a treasure trove of the most exciting wines at LCBO. Vintages carries the world’s best wines. The Product Consultants (you’ll recognize them by their white shirts) are truly expert in all things wine! Get them to point you to one of the Viewpointe wines pictured, or to any of the other stellar wines in their section! Following are our 11 favourite Vintages stores, for selection, staff knowledge and layout. A bonus is that these stores are also members of Viewpointe’s “Go-To-Market” connection. Photo: Viewpointe High Pointe Syrah and Barrel Fermented Chardonnay, stacked high and ready to wow your senses. These reserve wines do NOT take a back-seat to the Rhone or Burgundy! I love Store #10 at Scrivener Square too. A beautiful historical building and to-die-for selection.